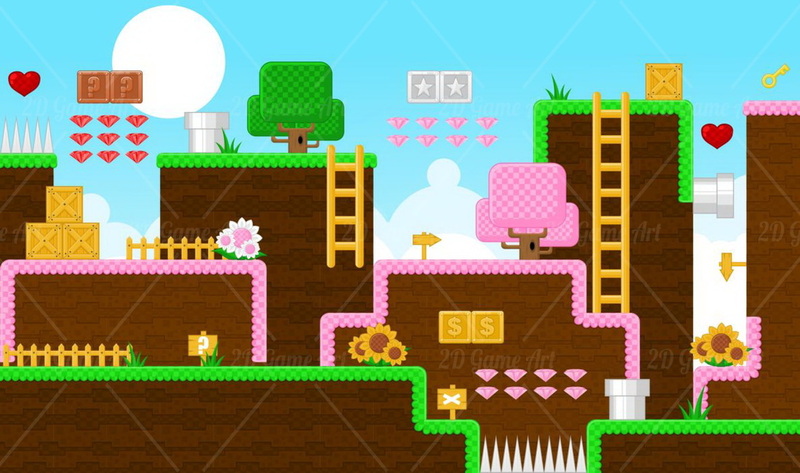 A set of game assets / sprite / graphic, contains ground tiles and several items / objects / decorations, used for creating platformer games. With colorful theme, pretty suitable for cartoon looking game. - Full vector, so you can scale it at any size, without losing it’s quality. Also fully customizable. 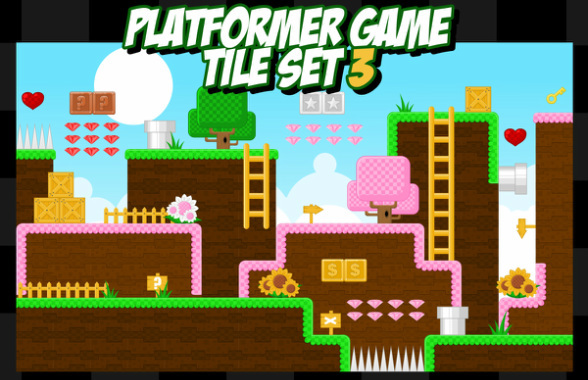 - Optimized for Tiled Map Editor with 64×64 px tiles. - 128×128 px separate PNG tiles added (non-tile object’s size also adjusted). Big enough for HD games, and should be easier to resize them to lower resolutions.